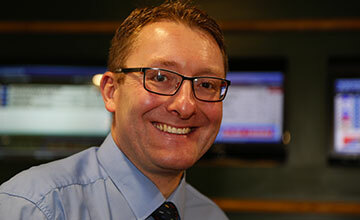 The 37-year-old was confirmed as the winner the SIS/Racing Post Betting Shop Manager of the Year. Moreover, he is the first BetFred employee to receive this honour. Robert was decided as the North-East Champion for his extraordinary work in Brough, East Yorkshire. He was chosen as the overall winner among the other seven regional champs. All of them were selected from an entity list, which involves high achievers from betting retail shops from all over the United Kingdom and Ireland. The Betfred founder, Fred Done, stated that he is quite delighted that they managed to win such a prestigious award for the first time and he also said that all of the credit goes to Robert Mabett. According to Done, Mabett will be a great ambassador for their company. He continued thanking the judges, as well as everyone who works in his shops, stating that this award is because of everyone’s hard work. Robert declared himself as completely made up. He will be going on a complimentary trip to the Emirates Singapore Derby that will take place during the next summer, which is courtesy of the Singapore Turf Club. He will also be invited to Belle Vue to present at the RPGTV Oaks and Laurel’s gala. You can watch it live on Sky Sports. He will be taking over the prestigious ambassadorial role from last year’s champion Matt Howe, who is the Ladbrokes Manager in Birmingham. Read more interesting segments on our latest news page.